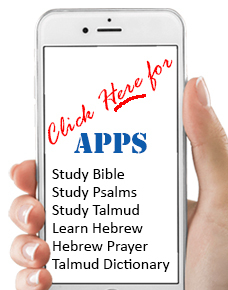 Finally... a software program that improves the way you study Talmud. It used to be that if you did not know the meaning of a Talmudic or Aramaic word, you would turn to your Jastrow Dictionary and eventually find the meaning. Of course that was provided you knew the root of the word and where to look. The Jastrow which is the flag ship of Talmudic Aramaic Dictionaries is thousands of pages and anyone who ever used one, will appreciate Word by Word Aramaic Dictionary. Now with Word by Word Aramaic Dictionary, you have instant access to 166,895 words and definitions in Aramaic or English. Word by Word Aramaic Dictionary translates Aramaic and Talmudic words to English and vice versa. When there are multiple meanings of a word, it will show them as well. The entire Jastrow Dictionary is instantly available in electronic format. Thousands of pages are instantly accessible and printable. When checking the included dictionary you will learn the meaning of the word, its proper form and root, and example of the word used in context. The Aramaic Dictionary is a computerized form of the Jastrow Dictionary plus thousands of additional words that never made it to the Jastrow. You can access the English translations and meanings for Aramaic words of the Bible, Onkelus, and all Targumin including Targum Yonasan. Plus both, Talmud Bavli & Talmud Yerushalmi, Midrashim, and Zohar. You can also find the Aramiac translations and meanings for English words. For each Aramaic word you can also see the full Jastrow Dictionary entry which you can print, or copy and paste into other applications. A great way to use the dictionary - is with the Bar Ilan or other similar Talmud Database products. You can leave Word by Word Aramaic Dictionary open in the background and when you come across a word in the Digital Talmud you can copy and paste for an instant translation... Very easy... Extremely efficient... and this tool will shave hours off your research time and make the time spent studying more productive. Select Jastrow text to clipboard as jpg.